…..the building enhances the charm of Le Panier without subverting the uniqueness of the neighborhood. The project takes shape from a careful study of the facades: covered with concrete slabs with climbing ivy – necessary to introduce calm and freshness in the square – they provide regular punctures of minimalist style. 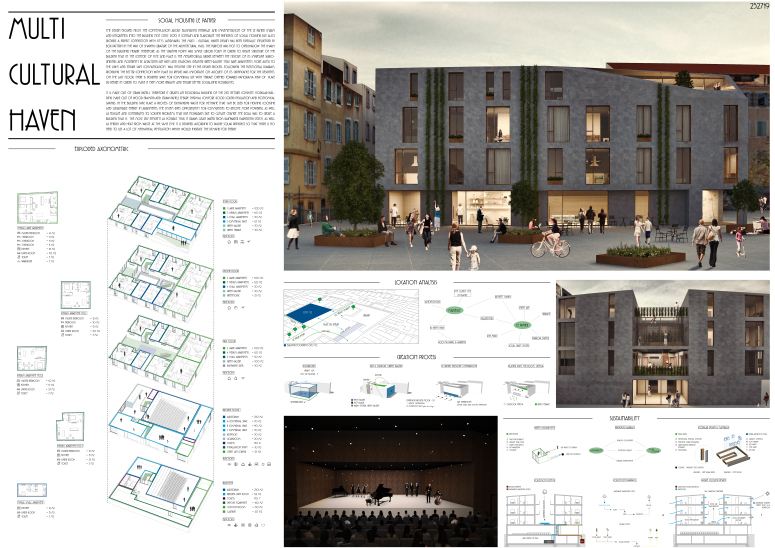 The courtyard, created to offer continuity between interior and exterior, becomes the place where the inhabitants of the housing meet with the people of the neighborhood. The residential complex is conceived as a highly sustainable organism. Water collection systems and mobile shading systems allow residences to achieve an excellent level of energy efficiency. The project proposes a housing intention in which man and the environment establish a mutual interaction…..